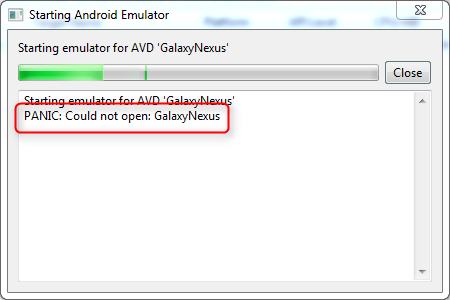 I follow the official Android guide here but I cannot start the emulated device. It keeps saying PANIC Cannot start device... as below screenshot. Do you have the same problem and any work around for me? As a work-around, you can define the environment variable ANDROID_SDK_HOME to point to the directory containing your .android directory. The emulator and SDK Manager will pick it up properly. Also you should check that the AVD is created in the location D:\NN\.android\avd (check in your screenshoots, just above the list of AVD, the path in List of existin Android Virtual Devices). 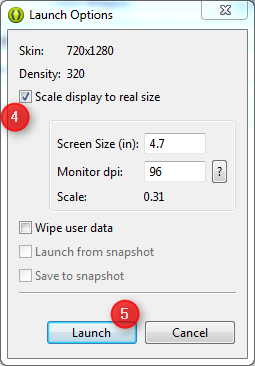 Uncheck scale display to real size, It will work for you, Or try to lower the Screen size column. Look under C:Users\YourUserName\ .android if you can find there a folder named \avd containing subfolders named after the android virtual devices you created. If that is not the case (as it was on my machine) then you probably have moved long ago your account's user data via a symbolic link to some different location, as it was the case in my system. 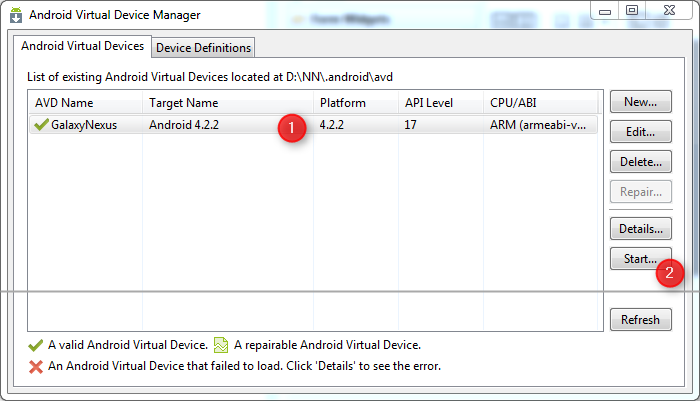 Eclipse (the virtual device manager of the ADK) will create the virtual devices there, but will search for them in the Windows default C:Users\YourUserName\ .android path. This enabled me to : Start the virtual device and to load the Hello World example from Eclipse into it. Eclipse does not seem to search for such environment variables, but obviously rather relies on the presence of all of the files in the Windows default locations of the user's personal data. There are 2 things that you can do to get it over with. Before Android searches for .ini files in $HOME/.android/avd, it looks for an environmental variable $ANDROID_AVD_HOME. Not the answer you're looking for? 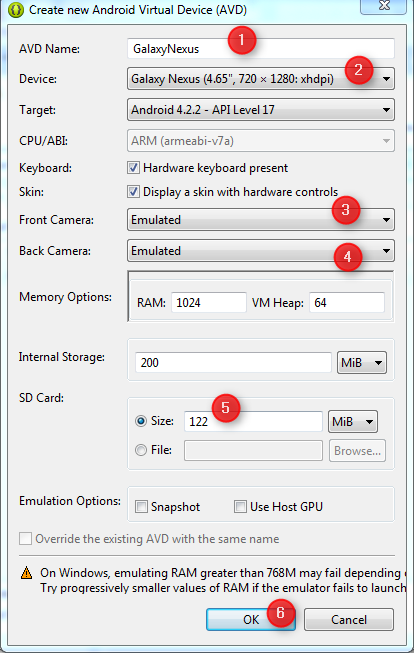 Browse other questions tagged windows android-emulator or ask your own question. How can I make Android Disa work with Windows Whatsapp? How to copy paste between Android and Windows?